Updated 9-17-18. Unpaid invoices are a source of frustration to many Notary Signing Agents. But Signing Agents are not alone. Seventy-one percent of independent contractors have had trouble getting paid by their clients, and these people on average are owed more than $6,000 (some as much as $30,000), according to the Freelancers Union. To make matters worse, some larger corporations work on payment cycles that can exceed 120 days, while your rent and the electric bill are due every month. And collecting these debts is tricky, especially if you want to preserve your relationship with the client. So what strategies can NSAs employ to peacefully collect debts without jeopardizing their client relationships? Open communication is crucial. When problems do arise, each step of the collections process, from the first day a bill is late to months later, should be marked by careful, professional dialogue, and a trail of paperwork. It all starts with the contract or agreement, said Caitlin Pearce, director of member engagement for the Freelancer’s Union. Most title companies and signing services have written contracts with the NSAs they use. Make sure you and your client are clear on all the requirements, large and small, as well as the due dates, payment terms and any other expectations. It’s also a good idea to have your own contract template for those clients who rely on handshake deals. Don’t forget to have a lawyer review it to ensure that you’re asking for things that are within the scope of the law, Pearce said. Before beginning a job, Pearce also suggested that NSAs find the name and contact information of the person responsible for payments, whether it’s the company owner or an employee in accounting. You should have their phone number and email address, and establish contact. Some companies have bureaucratic red tape a mile or two long; if you’ve chatted with your contact, your invoice is less likely to get lost in the shuffle. Your Payment’s Late — Now What? When you send your first invoice, you should also clearly state when you’ll follow up if not paid by a certain date. On that exact date, call and email your contact. Be polite and professional, Pearce said, but let them know you’re not going to let this go. Personally chasing after people for money can be tough, so there are several brands of payment collection software that can do a lot of the work for you, such as sending reminder letters and emails. WebAR, a cloud-based platform, manages accounts receivable and will process payments. The credit bureau Experian also offers an application. Its program will validate names, addresses, and other important data against information reported to Experian, and it’ll help you get nuggets like unpublished phone numbers. So you sent repeated invoices, made calls, and you’re still waiting to get paid. What next? There’s also small claims court, and if you choose to go down this path, make sure you have paperwork, including emails and copies of work product, available to show a judge. But that can be time consuming and costly. Frank Metayer, who owns San Diego-based Mobile Notary Express, recalled an experience he had with one signing service. After 30 days, he sent a friendly email. His second attempt was a voicemail. By then, he went over the client’s head and alerted the escrow company that he had not been paid. The following day, he was called by the signing service and almost immediately paid. Sometimes you have to look at relationships. Escrow companies are important to signing companies and they don’t want to lose those contacts, he said. In another case, he did a signing for a different escrow company. After three attempts to collect, he sent an email and cc’d his contact’s manager. He promptly got a check. 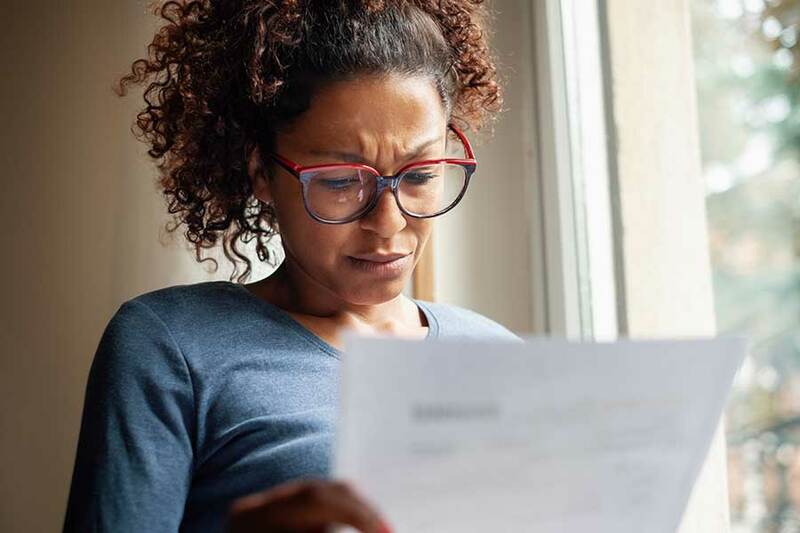 Writing for the U.S. Small Business Administration, Barbara Weltman, an attorney and small business expert, notes that “invoices aren’t like fine wine — they don’t get better with age.” But if nothing works, and you can’t get paid what you’re owed, you may be able to write off the bad debt on your taxes. “After all collection activities have been used and you know that the funds are uncollectible… you can deduct your loss,” said Weltman. Collecting debts may be a hassle, and may force you to get assertive while discussing a topic that makes many people uncomfortable, but persistence often pays off. Pearce said some freelancers have doggedly pursued debts as small as $100. On principle. Because everyone deserves to get paid for the work they do. I have not received my supplies and now I'm expired. Please check up why I've not received anything and I've paid for it. Hello. You can contact our Customer Care team at 1-800-876-6827 or Services@NationalNotary.org for assistance with your order. I am ruthless. I don't care to work for companies that don't pay and will comment on their F BBB rating and research all that were involved with the signing, bank, title company, and do the same to them as they are accessories to doing business with wage theft companies. The fact that we as Notaries put our time and money into every single signing that we complete, makes it unconscionable that we should spend more time and more money attempting to collect fees that are due. I for one decided a long time ago to chock it up, and let it go. All these agencies want the notaries to preform with highest standards while they sit back and not do the same. We have to drop things and go to signing when they call us, but if you don't remember that they still owe you, they do not care. National Loan Closing will pay if you remind them and after 2 months, Reliable Notaries-- do not pay funny they say reliable... so we need to continue and report any agency so other notaries can stop working for them and in return they can loose there business of scamming. Utilize QuickBooks to track your invoices. in fact, generate an Invoice every time you conduct a signing, and upon signing completion, send the invoice. Utilize NEAT to track expenses. Utilize MILEIQ to track your mileage. I would love it as well if the NNA would have a section on Software & Technology that new or existing Notaries could use to be more efficient. Maybe the Title Andy Escrow companies should stop using signing companies and call signs no agents directly for signings. Like it used to be. You get paid immediately after a signing. The Escrow officers have a list of signing agents they can call direct. These signing companies want to pay the person that does all the work 50% of what the Escrow company pays out. All they do is assign an Notary. I used to get signings and paid after three days for refinance and a day after a purchase signing at minimum $150 per signing now they call me and want a signing done for $60, and you still need to print out two set of docs do fax backs and ship them. How can signing agents survive off of these fees and to get paid 44 or more days later. Maybe the state should do something and not allow this anymore. I will not do notary work unless I am either paid on the spot or paid in advance if it is a remote client. If a company doesn't want to play by my rules, I don't need them. As my notary services are an auxiliary to my secretarial service, I can afford to play hardball.